One Soviet WW2 BA-10 armoured car in 1:48 scale. One Soviet WW2 BA-3 or BA-6 armoured car in 1:48 scale. One Soviet KV-1 tank in 1:48 scale. One Soviet KV-1S tank in 1:48 scale. One Soviet KV-2 tank in 1:48 scale. One Soviet KV-8 tank in 1:48 scale. One Soviet KV-85 tank in 1:48 scale. One Soviet SU-152 (ISU-152) in 1:48 scale. 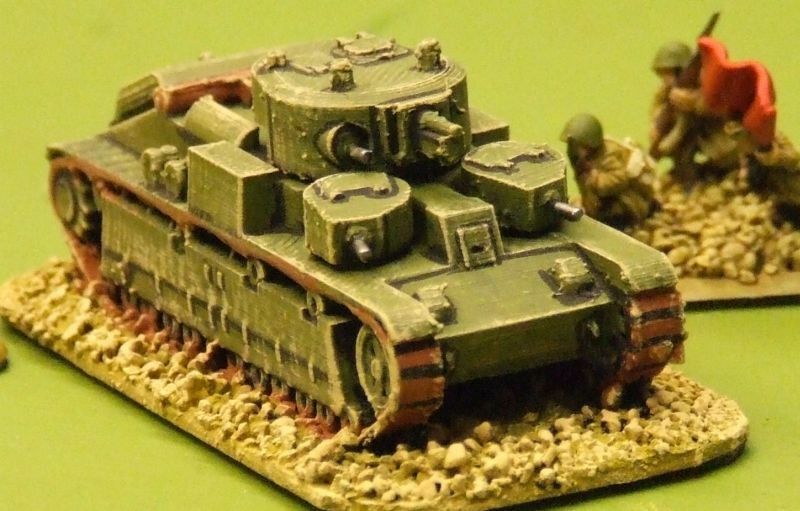 One Soviet T-26 Light tank in 1:48 scale.